The Boston Red Sox won three championships in four years from 1915-1918 led by the iconic Babe Ruth during his rookie season. In 1916, the team went 91-61 and beat the Brooklyn Robins in a five-game World Series. 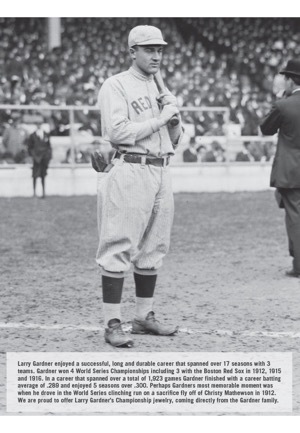 Larry Gardner was a key contributor to the team throughout the season batting .308. 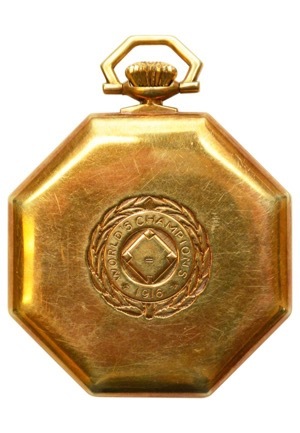 Championship rings for World Series victory first debuted in 1922 and became the standard format in 1926. Before that time, pendants and watch fobs were the most common player prize. 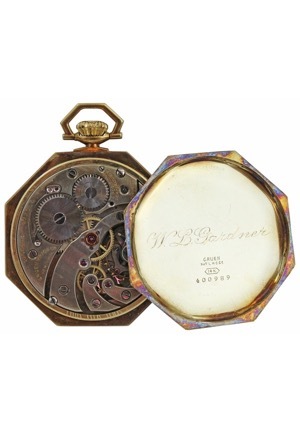 Offered is Gardner’s 1916 Red Sox Championship watch. 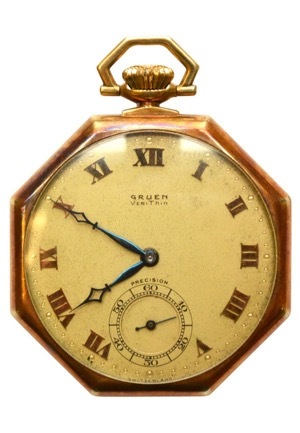 Gruen manufactured “Veri Thin” pocket watch with Roman numerals as the hours. 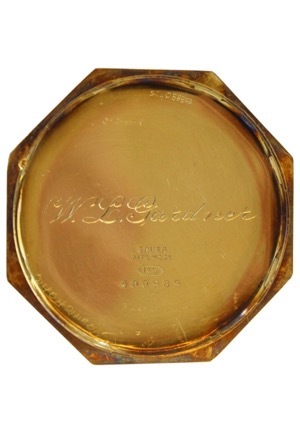 Engraved on the back of the watch reads “1916 WORLD’S CHAMPIONS” in a circular pattern around a baseball diamond. 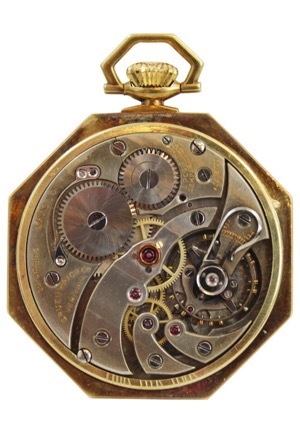 The master spring is in working condition and the watch can still be heard ticking. Minor scratching on the back and aging is present but the watch still remains in beautiful vintage condition. Accompanied by a Gardner family LOA.